Children's Chanukah Menorah. To be used with birthday sized candles. Perfect for an office countertop, too. 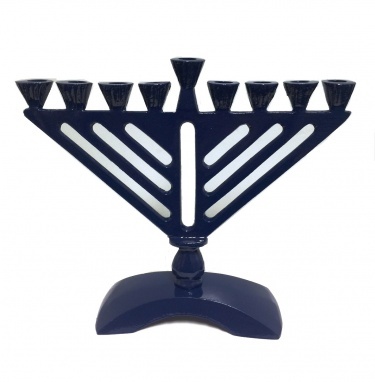 Aluminium Children's Chanukah Menorah is approx. 6"L x 5"H.